Increasingly more number of people in the modern world are acquiring mobile devices, especially smartphones, and the world is driven by exponentially growing online transactions. There’s no wonder in mobile apps being considered as the factors that shape the future of E-Commerce. Statistics prove that as high as 70% of today’s purchase decisions are influenced by mobile devices and mobile apps. Progressive Web Apps are not just the latest trend; they are fast-attaining the position of major controlling factors in our lives. The wide-spread Internet use and related e-commerce activities have undergone constant evolution, giving rise to technologies such as web applications and mobile applications. 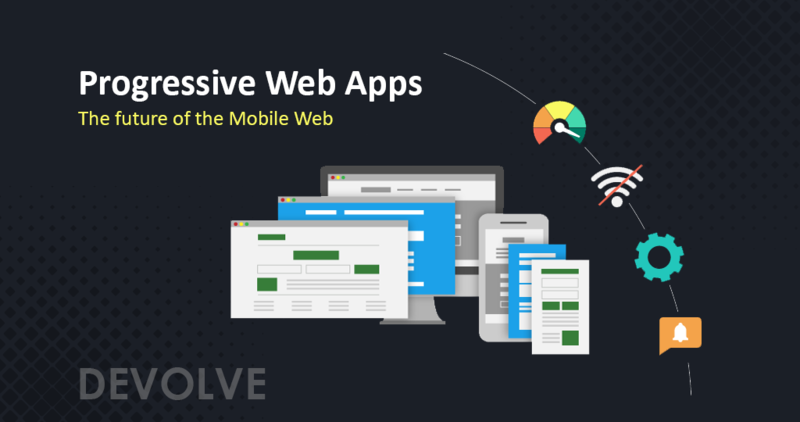 Solving the earlier conundrum of whether to go in for mobile web or mobile app, Progressive Web Apps have emerged as the modern way that assist entrepreneurs and Web App Development Companies. Progressive Web Apps have the combined strengths and advantages of both the web apps and mobile apps. Introduced in the year 2015, progressive web apps are seen now to take off across the globe in a big way, enabling numerous global marketers to build seamless and unique mobile user experience. This hybrid between native apps and web pages offers a combination of the features offered by modern browsers in addition to the advantages of mobile experience. Although it is next to impossible forecasting what would reign in future when it comes to information technology and related applications, it is for sure that mobile experiences will not only be here to stay but also will keep getting better with time. People are getting used to technological advancement in a rapid manner; they also keep expecting improved experiences across the board. Higher User Engagement: It is common that websites have a dialog box that offer an allow or deny button, clicking which users get updates even when they are away, from the website. Similarly, Progressive Web Apps offer link-adding feature, allowing the app to be cached, letting users get app access directly from the home screen. Users Get Seamless Access: With no need for installation or downloading, Progressive Web App allows users to access directly with no fluffs. Content May Be Accessed Offline: Although it might sound astonishing, Progressive Web Apps let you access content offline. The core of the Progressive Web App, ‘Service Workers’, keeps working in the background even when user is not accessing the website. Enhanced Security: Cyber threats being one of the priorities, websites programmed in HTTPs are a must in today’s cyber environment. Users get peace of mind when entering sensitive personal information such as contact details and credit card information in Progressive Web Apps. Easy Fine-Tuning: You don’t have to contact app store for making tweaks when you develop Progressive Web Apps instead of native apps. Progressive Web Apps are capable of fixing errors and bugs on the go. Progressive Web Apps Are Fast: As Service Workers and Java Scripts run separately from the main web thread, Progressive Web Apps are reliable and efficient in terms of speed. Smoother navigation, scrolling, and animations are possible here. Unmatched Flexibility: While offering an experience similar to native apps, Progressive Web Apps allow users to save them to home screen as shortcut or bookmark, so that users get instant access when required. Why is Progressive Web App Considered Crucial in Web Development? Rich with functions and using less data than regular mobile apps, Progressive Web Apps are the choice of developers and business owners today. Capable of using native app features such as full screen, offline working, push notifications, and splash screen, Progressive Web Apps are found to be more engaging, faster, and reliable. With three major basic contributing components, namely, Service Worker(s), Application Shell Architecture, and App Manifest, Progressive Web Apps help provide users with the best web experience possible. Progressive Web Apps are designed in such a way that they satisfy the consumers’ expectation of higher UI. The interface is designed for app-like interactions that prove seamless and faster, responsive, and function well even with low Internet connectivity. This is of great use to developers and Web App Development Companies. Progressive Web Apps offer developers and entrepreneurs the opportunity to save on money and resources without having to compromise on quality of service. Progressive Web Apps offer easy indexing and discoverability. Updates are simpler and there’s low friction in Progressive Web Apps. They can be simply published and are available to users who open them up. Offline functionality and saving in mobile data make them more popular. Ability to be shared and universal accessibility are other advantages of Progressive Web Apps. Progressive Web Apps prove to be great for content-focused platforms. This makes them suitable for social networks. Several social networks are about to migrate to Progressive Web Apps in future! With their simplicity and benefits, there’s little wonder that enterprises and several web development companies are seen to transition to Progressive Web Apps! Hmm it appears like your site ate my first comment (it was super long) so I guess I’ll just sum it up what I had written and say, I’m thoroughly enjoying your blog. I too am an aspiring blog blogger but I’m still new to everything. Do you have any suggestions for rookie blog writers? I’d genuinely appreciate it.